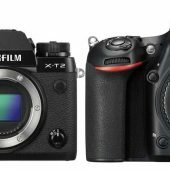 Fujifilm’s AF system has grown by leaps and bounds since the Fujifilm X100 and X-Pro1 launched. FStoppers has a decent write up about the history of Fujifilm’s AF past and how firmware 4.00 changed Fujifilm AF for the better. Yet the most compelling part of their article is probably the AF videos they produced.